Our foundation was accepted to the TANT Project in 19 th july 2010.The first meeting was held in Poland between 8 th – 10 th February in 2010 just after the contracts were signed. The owners of the projects met and introduced their foundation at the meeting. After the first meeting the Project was divided into two groups. 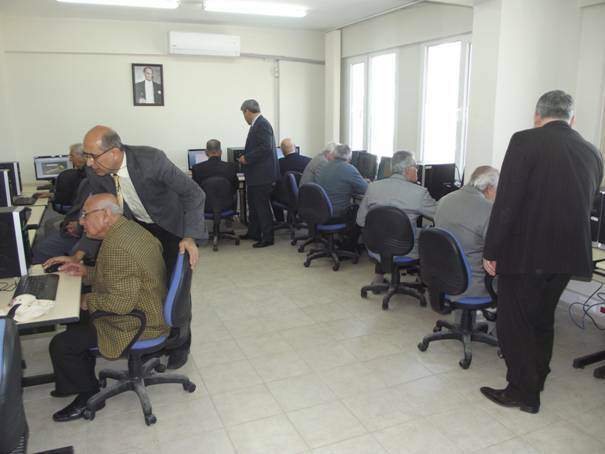 The spanish and French partners were asked to teach basic computer skills and basic english to the seniors and the other two partners, Turkey and Poland, were asked to teach basic computer skills. They were also asked to follow the improvement of the courses and to convey their opinion about the process. The host organization determined to form an new web site about the TANT Project. After the meeting the historical and cultural places and the important tuorist attractions of the city ( odra rıver, st. elızzabeth church, rynek architecture museum ) were visited. After we came back to Turkey 21 seniors who want to attend to the computer course from the Hatay Nursing and Rehabilitation Center for Old People which is our brother foundation as a member of the Project were established. The computer teacher started the preparations. We went to Paris for the second meeting between 23 th - 26 th May 2010. After a general assessment in that meeting we evaluated the Works that had been done and the methods used until that time and if there had been any lacks. 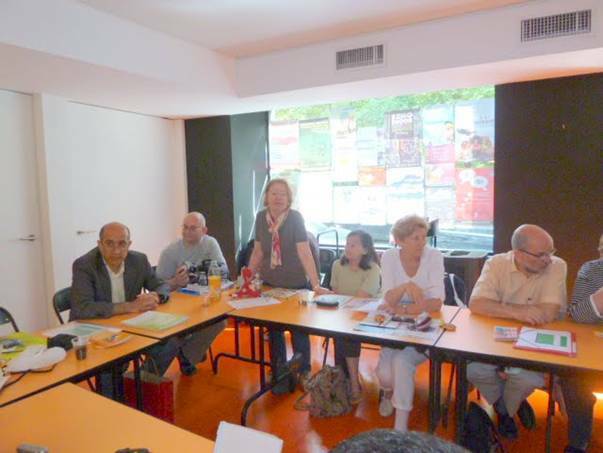 ( whether the study was successfull and the seniors adaptation ) Our trip ended after we visited the historical places of france ( Eiffel tower, sen river and shanselize ). 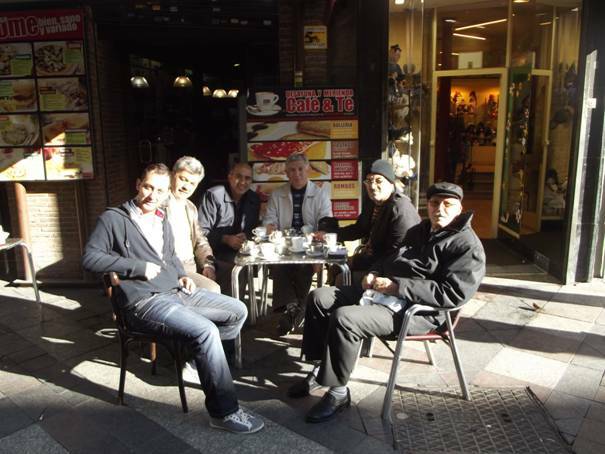 At the meeting that hold in Madrid between 24 th – 28 th october 2012 our main topics were the present situation of the Project, the success of the Project till that time and the reasons of the failures. We tried to find the solutions to take away the current problems. 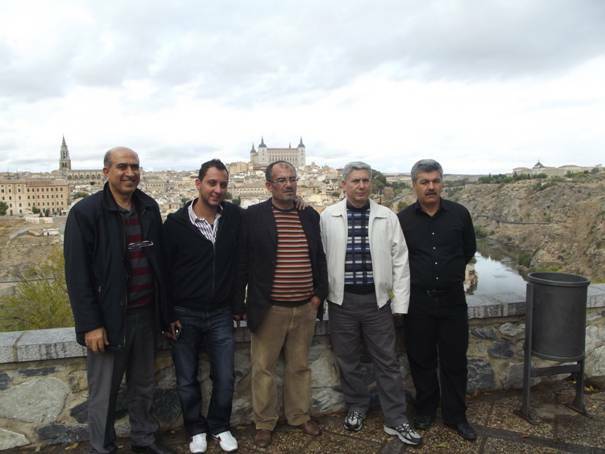 We organized cultural and historical trips in Madrid ( toledo antic city, plasa major, prado museum, palacio real ). At the meeting that hold in Hatay between 17 th – 19 th april 2012 we evaluated the nagative parts of the Project, what we gained during that Project and what our plans were about future of the Project. We discussed the culturel, social and economic situations of the seniors who stay in Hatay Nursing and Rehabilitation Center for Old People and the Works that had been done so far were illustrated with a slide show. We guided our guests to see the historical and culturel places in Hatay ( the arceology museum, catholic and Ortodoks churces, Habib bin neccar mosque, the waterfall in harbiye ). The need for new methods of learning and teaching for seniors. The need for learning about other cultures. The need to encourage elderly people ( at risk of tecnological marginalization ) to activate and motivate them to communicate via the internet in English. 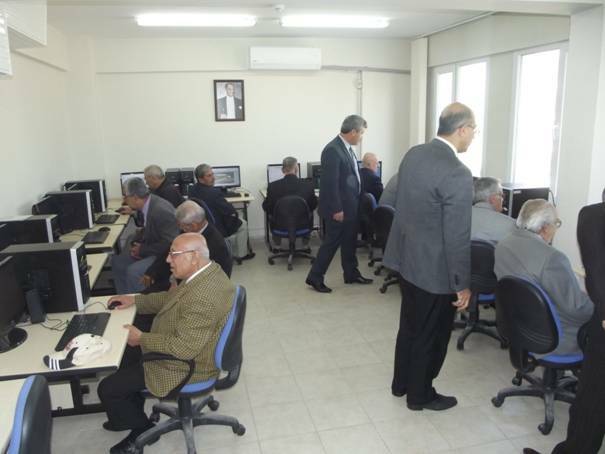 The goal of the partnership is to organize experimental computer courses in ICT or in English ( depends on the participating organization ) for seniors in the 2011/2012 academic year. The program of the course will consist of learning basic computer skills ( from turning the computer on and using Windows up to using the possibilities of the internet such as web portals, e-mail, etc.) or of basic English. 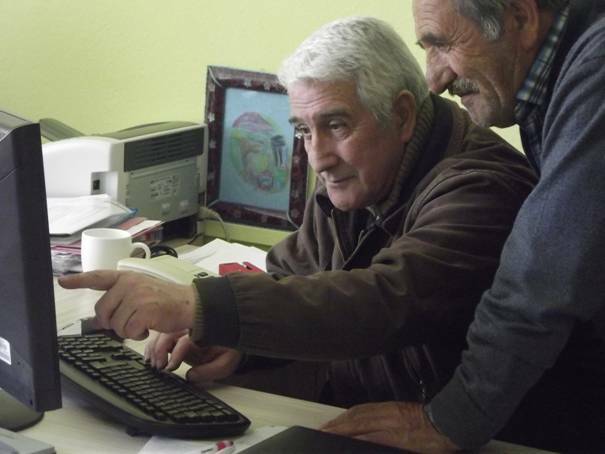 Our goal is that elderly students, who do not know how to use computers or who do not speak English well enough to communicate, could be able to achieve quite good computer or language skills, so that they would be able to continue learning without a tutor and break psychological barriers, with the help of younger instructors. When the courses are completed, we will do research on the senior education process and will organize a focus group in each organization and a final conference in Wroclaw for all the tutors, who ran courses using the formerly established teaching methods and another focus group for the seniors, so they can share their impressions with us. The information acquired during the research will be subsequently compiled by us and published as a coursebook or methodological files. The project will have an intergenerational dimension as well, because instructors and researchers will be from the younger generation. During the meetings we intend to learn much more about the host organization, the culture of the country and the city visited. Comparing learning processes dependent on cultural factors. Establishing strong international contact, which will be useful in other projects in the future. Finding new methods of learning for adults, especially senior citizens. Computer workshops. Working individually as well as in groups or pairs. Not having a social network account or using it to a limited extent. 8 meetings once a week. 2x40 minutes. There are unique obstacles to teaching technology to a generation that not only wasn’t born with a computer mouse in their hand, but clearly remembers when telephones were rotary dial. Anyone can learn to use a computer with gentle, patient, and creative guidance. 1) Watch Your Language. We are aware of the words we chose. We know we’ll lose someone in the first 5 minutes if we speak computer jargon. They don’t need to know computer terms in order to use the computer, so we avoid tech talk unless absolutely necessary. 2) What Turns Them On? Before sitting down in front of the computer we ask our student what interests them. We want to be able to dazzle them what the Internet has to offer specific to their needs and interests. What questions would they like answered? What are their hobbies? What is their family into that they would like to know more about? 3) Slow And Steady Wins The Race. Most seniors are not in a rush – we aren’t either. We assume that we are always going too fast. We take our cues not from the agenda we’ve set for the lesson, but instead the look in the eyes of our student. Eyebrows raised in surprise are good. A furrowed brow and a glazed look are bad. When we see the latter, we need to back up and figure out where we lost our student and start again from there. 4) Shake It Up. Before we even turn on the computer have our student put both hands on the monitor and shake it a little. We take the mouse in our hands and swing it by its tail. It reassures the fearful to know that the computer is just a big plastic box and nothing more. A little levity, with the intimidated, goes a long way. 5) Play Wingman. Our student should start in the driver’s seat from the get go. They do all the hands-on controlling of the experience starting with turning the computer on. We think basic, basic, basic and assume they don’t know anything, but can learn everything. 6) Conquer The Mouse. Any activity on the computer can be broken down into step-by-step instructions to be practiced until the steps become habitual. But, until the mouse is conquered, a newbie can’t practice the steps. Our first teaching session may just be about hand position, single-clicking, double-clicking, and clicking and dragging. The best way to practice all of these skills is by playing Solitaire. ( I kid you not ) Be patient, reassuring, and sing their praises when they get it right. 7) Take A Break. There’s a limit to how much anyone can absorb. No matter how far we’ve gotten, we stop after 45 minutes. We use a 15 minute break to talk about the importance of good posture while on the computer, what websites we find fun, or chat about the weather. we’ll know we can return to the lesson as we see our student relax. 8) A 3-Step Method. Repetition helps us remember. We do everything three times. The first time they do it is hands on. The second time they do it is to take notes. The third time they do it is to follow their notes to be sure the notes are clear without we guiding them. 4) depress and release the Enter/Return key. Four simple steps. Do it, write it, and do it again. 9) It’s Not Their Fault. When the time comes, and it will, that a website is hard to navigate, place blame where it belongs. Shame on web designers and computer manufacturers. This could all be much easier if those who designed the computer and the Internet took into consideration user issues. We relieve our student from feeling inadequate by pointing out the flaws in design and usability. 10) Give homework. We inspire our student to get on the computer for just 15 minutes a day to practice what we’ve worked on together. It is through short, daily visits to the computer that they will be able to conquer the beast. Avoid frustrating memory loss. Retain and recall more information. It's a classic situation - you meet someone new, and then moments later you've forgotten their name! Names, passwords, pin and telephone numbers... the list is endless - with so much to memorize is it really possible to improve how much you can remember? The good news is "yes"! Just like every muscle in your body, the adage "use it or lose it" applies, so the more you exercise your brain, the more you will remember. “ Mnemonic “ is another word for memory tool. Mnemonics are techniques for remembering information that is otherwise quite difficult to recall: A very simple example is the ‘30 days hath September’ rhyme for remembering the number of days in each calendar month. The idea behind using mnemonics is to encode difficult-to-remember information in a way that is much easier to remember. Our brains evolved to code and interpret complex stimuli such as images, colors, structures, sounds, smells, tastes, touch, positions, emotions and language. We use these to make sophisticated models of the world we live in. Our memories store all of these very effectively. Unfortunately, a lot of the information we have to remember in modern life is presented differently – as words printed on a page. While writing is a rich and sophisticated medium for conveying complex arguments, our brains do not easily encode written information, making it difficult to remember. The key idea is that by coding information using vivid mental images, you can reliably code both information and the structure of information. And because the images are vivid, they are easy to recall when you need them. The techniques explained later on in this section show you how to code information vividly, using stories, strong mental images, familiar journeys, and so on. · Use positive, pleasant images. Your brain often blocks out unpleasant ones. · Use vivid, colorful, sense-laden images – these are easier to remember than drab ones. · Use all your senses to code information or dress up an image. Remember that your mnemonic can contain sounds, smells, tastes, touch, movements and feelings as well as pictures. · Give your image three dimensions, movement and space to make it more vivid. You can use movement either to maintain the flow of association, or to help you to remember actions. · Exaggerate the size of important parts of the image. · Use humor! Funny or peculiar things are easier to remember than normal ones. · Similarly, rude rhymes are very difficult to forget! · Symbols ( red traffic lights, pointing fingers, road signs, etc.) can code quite complex messages quickly and effectively. The three fundamental principles underlying the use of mnemonics are imagination, association and location. Working together, you can use these principles to generate powerful mnemonic systems. Imagination: is what you use to create and strengthen the associations needed to create effective mnemonics. Your imagination is what you use to create mnemonics that are potent for you. The more strongly you imagine and visualize a situation, the more effectively it will stick in your mind for later recall. The imagery you use in your mnemonics can be as violent, vivid, or sensual as you like, as long as it helps you to remember. · Placing things on top of each other. · Wrapping them around each other. · Rotating them around each other or having them dancing together. · Linking them using the same color, smell, shape, or feeling. As an example, you might link the number 1 with a goldfish by visualizing a 1-shaped spear being used to spear it. Location: gives you two things: a coherent context into which you can place information so that it hangs together, and a way of separating one mnemonic from another. By setting one mnemonic in a particular town, I can separate it from a similar mnemonic set in a city. For example, by setting one in Wimbledon and another similar mnemonic with images of Manhattan, we can separate them with no danger of confusion. You can build the flavors and atmosphere of these places into your mnemonics to strengthen the feeling of location. İn the frame of our projects ‘ thırd age and new tech ’ that is within the scope of grundvig program, a part of life long learning Project we have a partner organization, Hatay nursing and rehabilitation center of old people within this scope 21 old people about 60 years old and more, living in the center, were trained on computer skills and held some courses. Old people wre divided to groups, formed about 10 - 11 people. For the first group normal techiniques on computer skills training were applied. For the second froup mnemonic techniques were applied. As a result the first group learned just how to turn on and off the computer and materials functions. On the other hand the second group learned how to surf on internet, use social Networks, connect with e-mails. During the process of second group two main activities were applied. Imagination and memory-ımages made by functıonal magnetıc resonance ımagınıng technology show that remembering and imagining sends blood tı indentical of the brain. Imagınation helps provide meaning to experience and understanding to knowledge, it is a fundamental faculty through which people make sense of the world, and it also plays key role in the learning process. İn psyhology associations are relations between conceptual entities. They are relationships between objects,feelings and ideas.the human brain is composed of a largeneural network,this network is a basis out of which multiple models of memory function have been proposed.Memory appears to be sutructured as on associative network that serves the purpose of informing about relationships between diffrent things. While we were carrying out our Project we met with some obstacles; the different background of the seniors and their social and economic backwardness. They came from a agricultural society and so they never used technology so we had problems during our courses. However; some of the participants became successful and that helped them to create a new point of view.